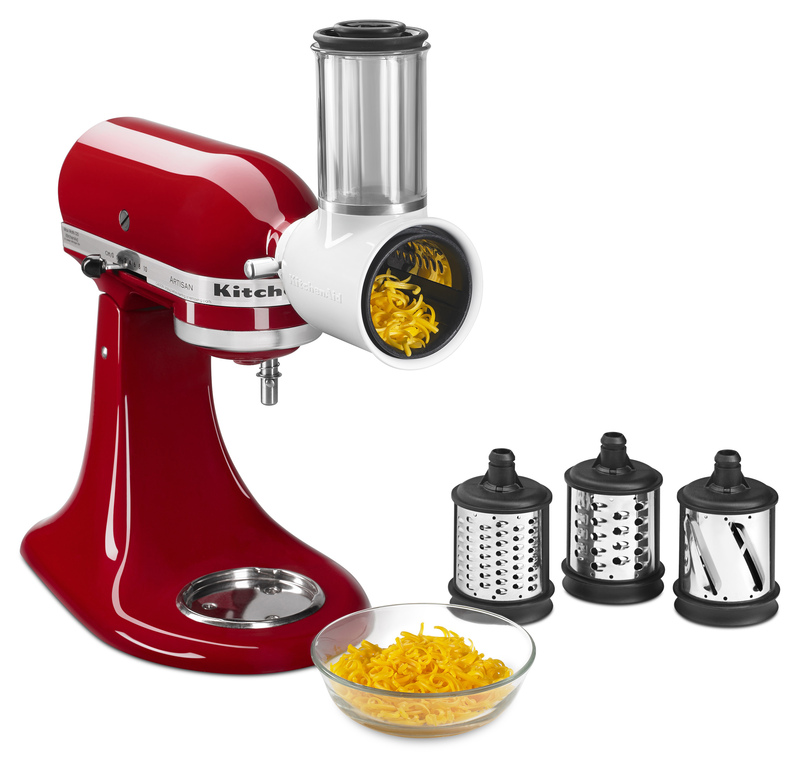 New Attachments help make KitchenAid® Stand Mixer a True "Culinary Center"
BENTON HARBOR, Mich (August 25, 2017) – Whether perfecting your favorite recipes or exploring new culinary horizons, a selection of new gadgets, colors and accessories from KitchenAid are sure to please the passionate home cook on any holiday gift list. 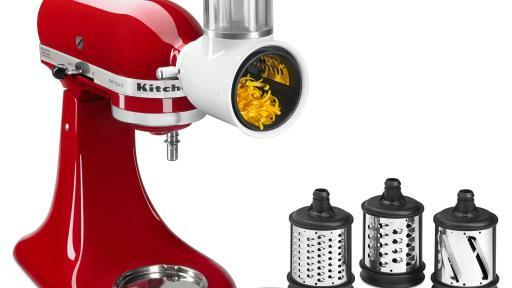 Four of the most giftable new offerings include the iconic KitchenAid Stand Mixer in fresh and covetable new colors, a Vegetable Sheet Cutter attachment and Fresh Prep Slicer/Shredder attachment for the KitchenAid stand mixer, and premium wood and poly cutting boards. Further information about the products detailed below can be found at www.KitchenAid.com/Countertop-Appliances. 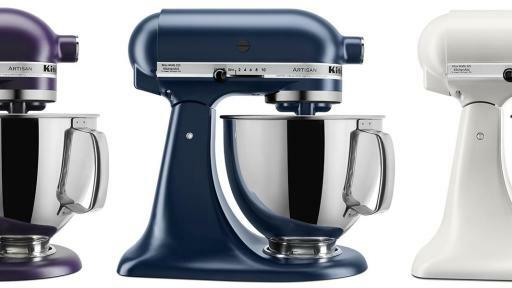 For those who find inspiration in bringing new and trending colors into the kitchen, there are three new matte finishes for the KitchenAid Artisan® 5 Quart stand mixer that enliven countertops in very different ways. Black Violet features a deep purple hue, a more indulgent and velvety alternative to the brighter purple stand mixer colors currently available. The new Ink Blue shade, inspired by classic ink blue glaze on white bone china tableware, offers a softer take on Matte Black, while still maintaining a neutral tone. Milkshake adds warm-toned, neutral option to the brand’s existing lineup of natural and off-white offerings. 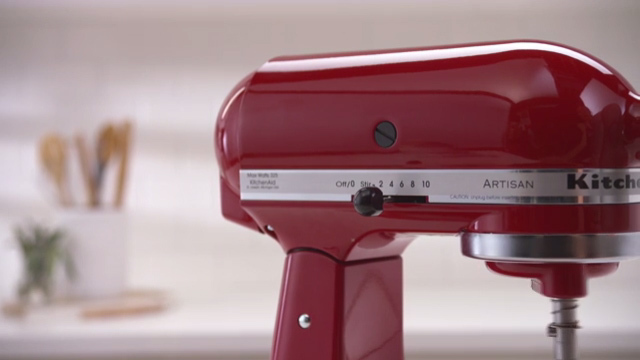 Artisan® Series 5 Quart stand mixers in the new colors are available now at a suggested retail price of $429.99. 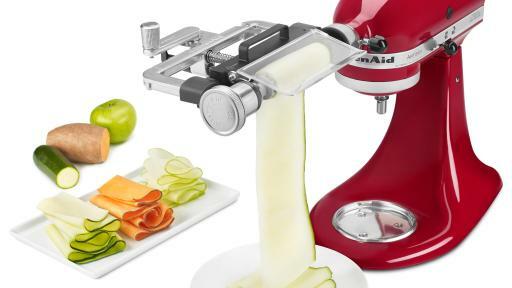 For those looking to eat more healthfully or simply expand their kitchen repertoire, gift givers should consider the new KitchenAid® Vegetable Sheet Cutter attachment for the essential Stand Mixer. The easy-to-use attachment cuts fruits and vegetables into thin sheets for making fresh, alternative versions of everyday dishes. Cooks can make substitutions for pasta and wraps, or reinvent snacks and sweet dishes, by creating sheets of zucchini, sweet potatoes, apples, cucumbers and other fruits and vegetables. Two blades allow for making thinner or thicker sheets, depending on preference or recipe, and premium metal construction provides durable, long lasting performance. The KitchenAid® Vegetable Sheet Cutter is packed and organized inside its own case, designed for easy access and simple storage. Both blades, as well as a cucumber and zucchini adaptor, skewer and food holder, are dishwasher safe on the top rack. The Vegetable Sheet Cutter attachment is available now at a suggested retail price of $129.99. Holiday multi-tasking in the kitchen is made far easier with the new Fresh Prep Slicer/Shredder Attachment for the stand mixer. 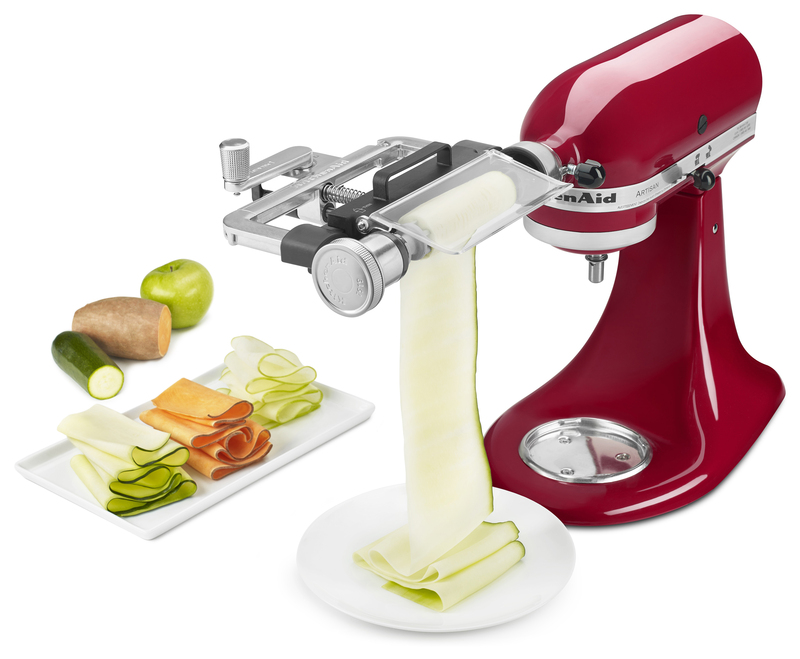 Designed to take the work out of adding freshly sliced or shredded ingredients to salads, entrees and other dishes, the versatile attachment has three quick-change blades that can handle everything from slicing cucumbers to shredding cheeses or vegetables, saving significant time with basic tasks. A 2-in-1 food pusher provides ideal slicing performance for both large and small diameter fruits and vegetables, from cucumbers to celery. The attachment is packed and organized inside a case designed for easy access and simple storage. The blades and food pusher are dishwasher safe for easy cleanup; the main body can be hand washed. The Fresh Prep Slicer/Shredder attachment is scheduled for availability in April at a suggested retail price of $64.99. 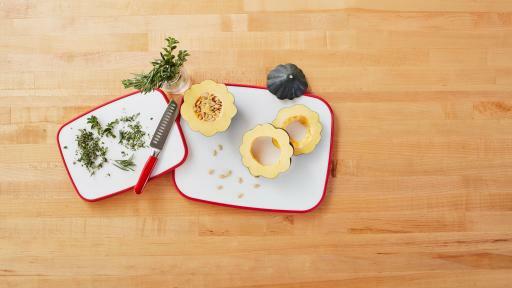 Artfully designed and made from high quality materials, new wood cutting boards from KitchenAid are a practical and attractive addition to any kitchen countertop this holiday season. 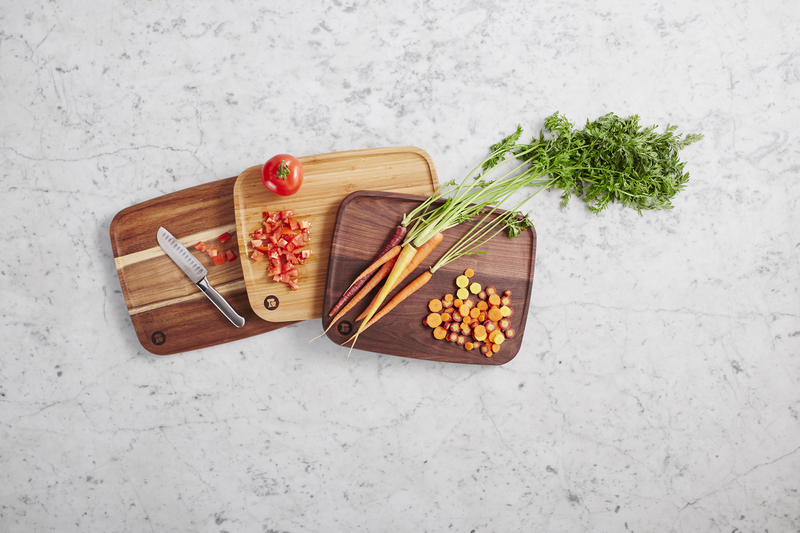 Available in three premium wood finishes, the double-sided board features one flat side with measure marks for more precise preparations while the second side boasts a drain-away tray to allow juices, gravy and liquids to flow away from the cutting surface. Available in 15mm thick Bamboo, 25mm thick Acacia and 25mm thick Walnut, the boards are extremely durable, yet gentle on knives to prevent dulling of blades. 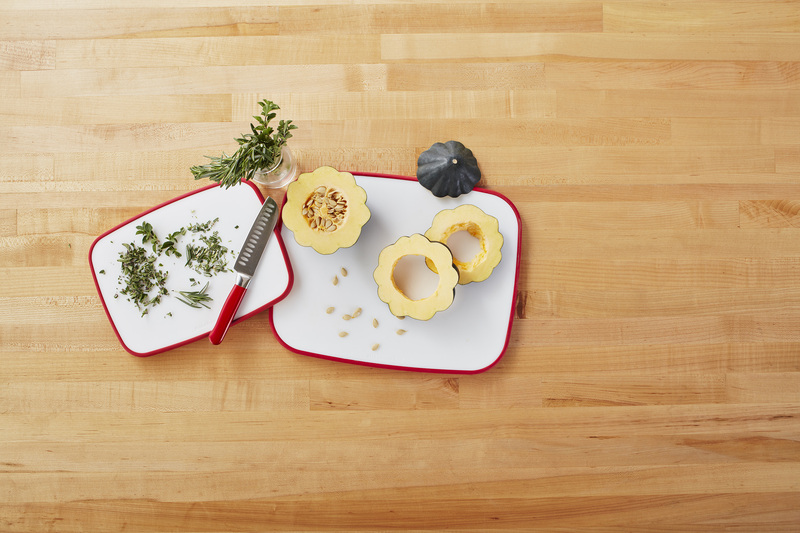 The brand’s new poly cutting board, more simply designed but equally versatile, is ideal for quick and easy cutting, chopping or prepping. Constructed of solid polymer material, the doubled-sided board is warp-free, heat-resistant and features measure marks for precise tasks. It is also dishwasher safe making clean-up very easy. New non-slip poly cutting board options are also available and include all the premium features of the poly cutting board with the addition of a non-slip design system and drain-away tray on one side, allowing juices to flow away from the cutting space. Both boards are also dishwasher safe for hassle free cleaning. 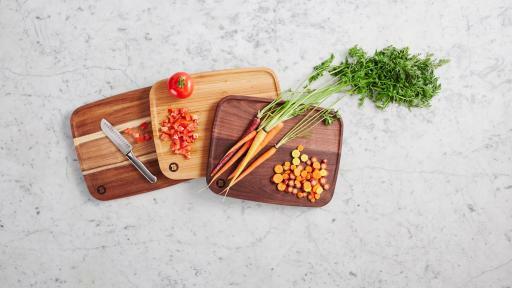 Wood cutting boards are available in sizes 8”x11”, 11”x14”, 12”x”18, with a suggested retail price of $19.99 - $59.99 based on material and size. Poly cutting boards are offered in 8”x11” and 11”x14” in White with suggested retail prices of $12.99 to $19.99. Non-slip poly boards are available in 8”x11” and 11”x14” in Tangerine, Ice Blue, Signature Red and Aqua Sky with suggested retail prices of $14.99, $29.99 and a 2-pack for $29.99.